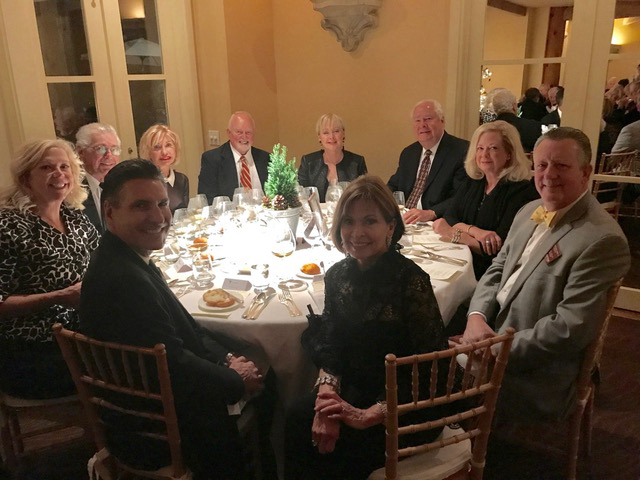 It was a chilly, but clear winter evening on Saturday, December 16 as members made their way to beautiful Auberge Du Soleil resort on the Silverado Trail to cerebrate the holidays. 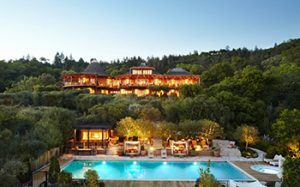 The Auberge resort is a world renowned travel destination with a Michelin Star restaurant. 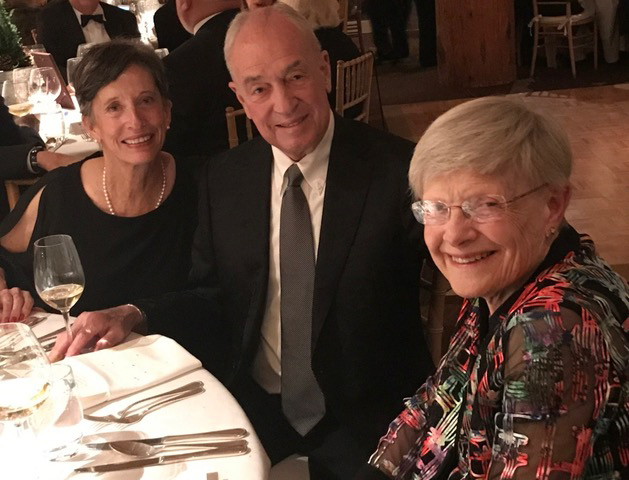 Members were dressed for the occasion at this black tie optional event and Auberge was beautifully decorated for Christmas. Michelin star Chef Robert Curry and Pastry Chef Paul Lemieux prepared a fantastic menu for the evening and DJ Jason Ruderman was on hand to provide music for dancing. Our evening began with a reception featuring Dungeness Crab Cakes with Meyer Lemon Aioli; Tuna Tartare on Crackers; Bruschetta Toasts paired with 2010 Schramsberg Blanc de Blanc and 2014 Gary Farrell Chardonnay. Dinner followed beginning with Day Boat Scallop, Prosciutto di San Daniele, Sunchokes, Black Garlic paired with 2014 Gary Farrell Chardonnay. Our next course was Chestnut Soup, Bacon Marmalade, Brioche Croutons paired with2014 Gary Farrell Chardonnay. Our entree was a choice of Blue Nose Bass, Artichoke Risotto, Pancetta, Basil and Yuzu or Cabernet Braised Short Rib, Crispy Brussels sprouts, Miso Sweet Potato, Pickled Mustard Seeds paired with 2006 Shafer One Point Five Cabernet, 2011 Flowers Pinot Noir, 2015 Bel Glos”Las Alturas” Pinot Noir; and ﬁnally for dessert, Valrhona Guanaja Mousse Torte, Hazelnut Custard, Dreamboat Espresso Gelato. Members crowded the dance ﬂoor throughout the evening dancing to the wonderful music played by DJ Jason Ruderman. This was an incredible evening of great wine and food and a great way to ring in the holidays.